Lawn renovating is a cost-effective, simple way to transform an unattractive yard into the envy of the neighborhood. We eliminate weeds and unwanted grasses while introducing high-quality seed varieties. With proper care and maintenance, your “new” lawn will look great for years. Give us a call to get started. Our lawn care experts will evaluate and measure your property, and get back to you with recommendations. Affordable Pricing – Renovating is a more cost-effective way to have a “new” lawn. Don’t strip away and start over! Renovating cost depends on the size and condition of the lawn. Less Disruption – With a renovation, the soil is not turned over, so rocks and other debris are not brought the lawn’s surface. Existing grass plants protect the new seeds. Renovated lawns can tolerate light foot traffic. 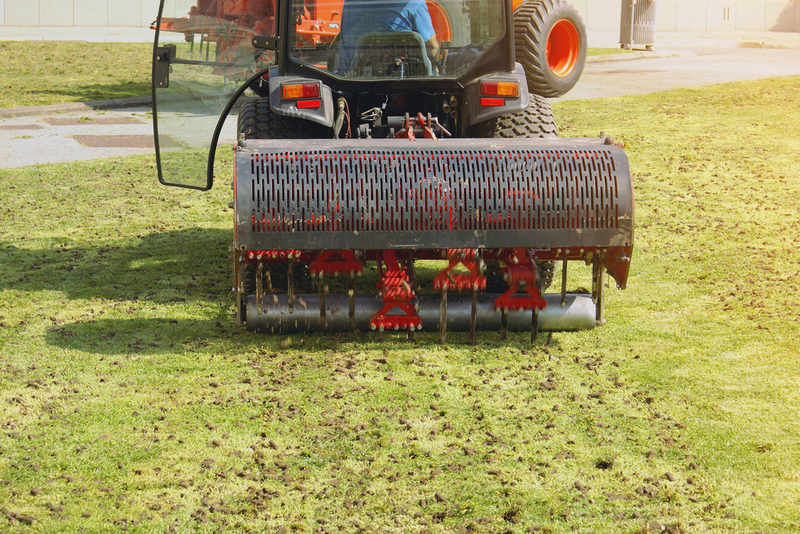 Lawn aeration allows air, water, and vital nutrients to reach the root zone of the grass. The process relieves compacted soil, opening the thatch layer. It also stimulates new growth, helps with overseeding, and improves the effectiveness of fertilizers and control products. The cores extracted break down gradually in a week or two. This natural process helps to hold the thatch level to an optimal level. 639 Lower Business Park Rd. Copyright © 2019 All Green Lawn Chem. All Rights Reserved.